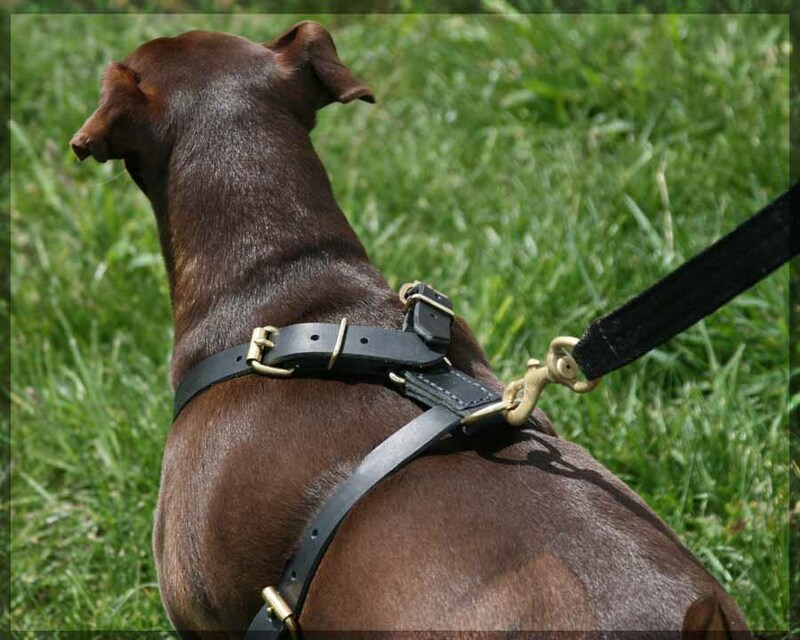 Our Tiny Dog Leather Harness is made with high quality Latigo Leather, to ensure your dogs comfortability. 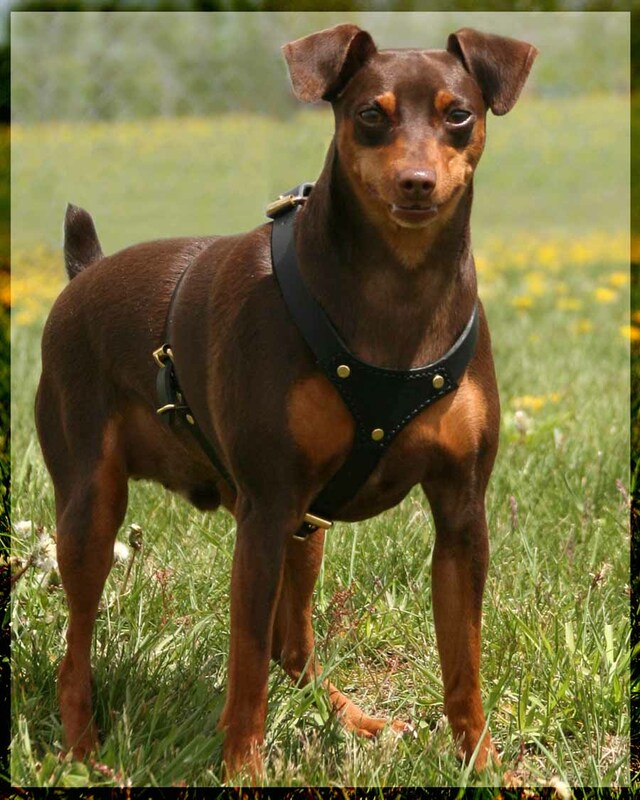 The chest plate is lined with a piece of black suede to prevent any irritation on your dogs chest. 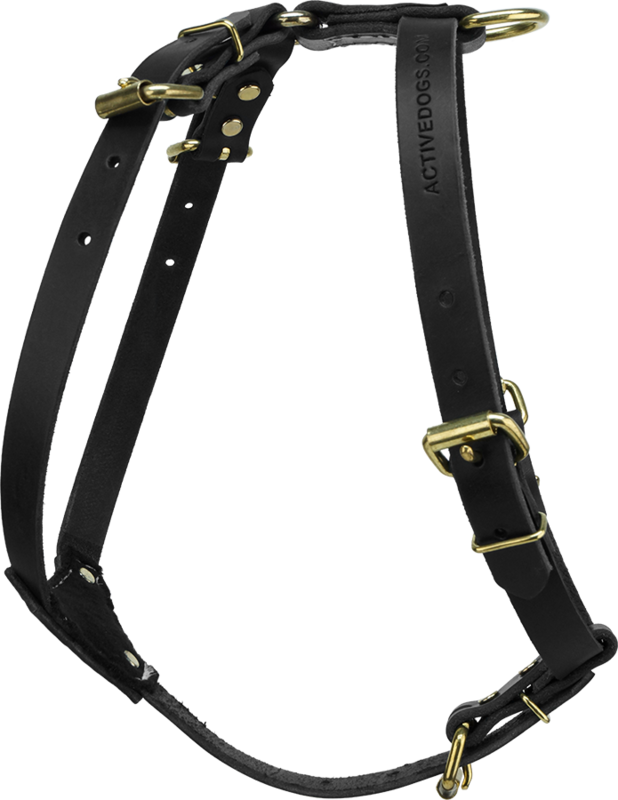 Their is a 1" D-Ring placed at the back of the harness for easier handler access and control. 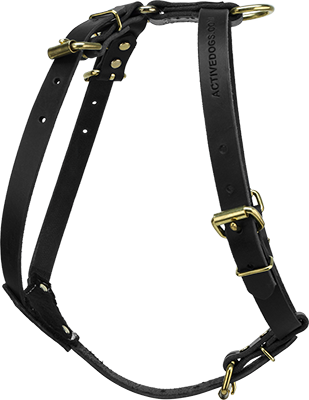 All in all this is a beautiful harness that your dog will love to wear for many years to come.